Info- Isla de la Plata is the undiscovered jewel of the Pacific. Lying just off shore of the mainland of Ecuador most people opt to visit the Galapagos Islands when touring in the region. However, this little diamond in the ruff boasts some of the most spectacular manta ray diving in the world. With unforgettable up-close encounters with massive mature individuals, this site is one of the hottest new destinations for encounters with these gentle giants. 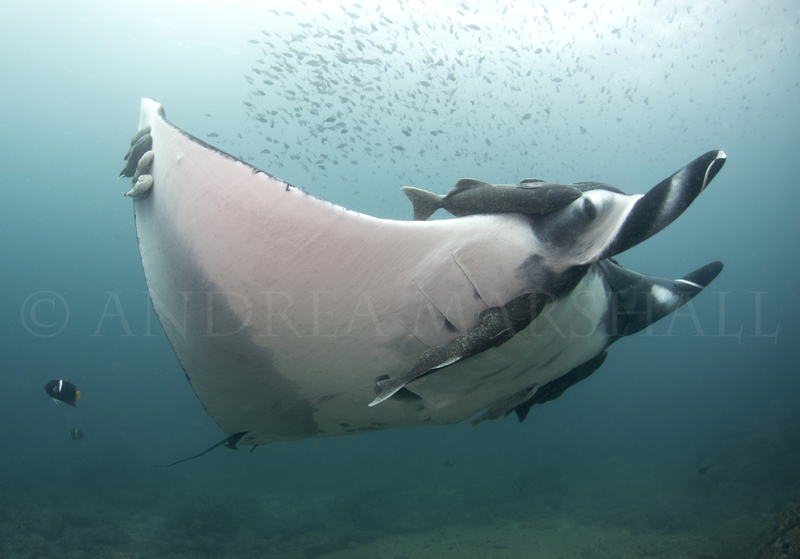 A better place for Manta encounters in Ecuador is Bajo Cope. Travel time is less that half of what it takes to reach isla de la Plata. Sighting are also more frequent in this area.